Michael Moro, CEO of Genesis Trading, sat down with CNBC’s Squawk Box on Black Friday (November 23) to convey his opinions on the current status of the Bitcoin (BTC) and crypto asset market. Providing investors with his insider expertise as the CEO of a Digital Currency Group subsidiary, Moro explained that Bitcoin’s most recent drawdown, which had its origins in late-December, has had no abatement, or in other words, has been relentless. He then drew attention to the $5,800-$5,900 level of support, which BTC previously held three times in the past year but broke last week. 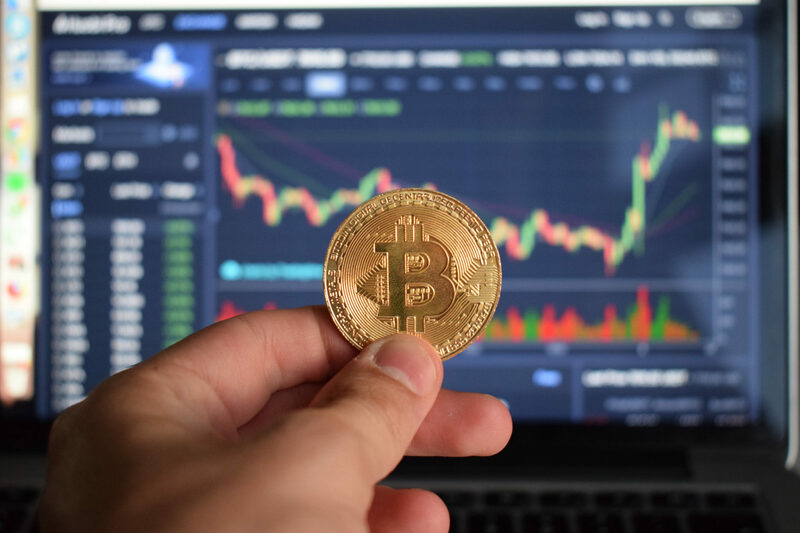 He added that while institutional investors have bought in on the OTC side, retail crypto investors put a substantial amount of selling pressure on this non-liquid market. Lending his knowledge as the showrunner at one of this market’s foremost OTC platforms, the Genesis Trading chief explained that a majority of early-mid 2018’s sell-off was catalyzed by traders nascent to this space, many of which bought their first BTC during 2017’s jaw-dropping bull run. He added that this specific group of players has sought to liquidate their holdings, solely in a bid to lock in their profits or minimize their losses. And so if you have that [long-term] lens, I don’t believe institutional investors really ultimately care where the price of bitcoin ends in 2018 simply because they’re looking at things three to five years out. Speaking on why this is, Moro drew attention to small prices nuances, adding that although $4,000 has held strong, there isn’t much resistance in the mid-3s. I see no reason why it should bottom at $3,000, $300 or $3. The simple reality that it was, is and will remain underpinned by nothing is finally being realised. A fiat currency is still underpinned by the resources of the sovereign entity issuing the currency, the goods and services that can only be traded in that currency. (This was also true for metalist currencies as it was the available resources that determined the amount of precious metal that could be stockpiled). There is nothing that can be only purchased in bitcoin so nothing is the floor value of the currency. I totally agree. BTC is a laughable currency, and is now relegated to commodity status – wild fluctuations in price make it a terrible currency to accept in trade for goods or services, not to mention that its inaccessible to the average consumer. So, its value is determined 100% by investor sentiment. Of course, a material number of coins are held by a relatively small number of miners and early investor whales, and its value is subject to continued and regular dump-drops. And, as we’ve seen recently, forking-related fragmentation of the BTC chain only serves to dilute its value further. No smart-money investor would touch this turd with a 10 foot pole. So, not only does BTC have no value as a currency, it’s a terrible investment to boot. I respect it as the OG of the Cryptoverse – the same way I respect my grandfather’s role in creating my family. That said, I’d never ask my grandfather to build my next computer – he can’t even work the damn TV remote! The sooner BTC is relegated to the crypto dustbin, the sooner the Crypto market is legitimized. I love how ‘experts’ are analyzing the crypto market as though it makes any sense to analyze it in this way. It’s based on absolutely nothing, it’s 100% hype, and the “floor” is not $3000, but $0. $700 is the real floor. That’s what BTC went was valued at when Donald Trump was elected. Everything after that is pure nonsense. Watch and learn. Well, the truth is that $700 is the real floor. That is what BTC was valued at when Donald Trump was elected. Everything after that is pure nonsense.